This level has medium difficulty. For this level try to play more from bottom or near to blockers as you get the chance. 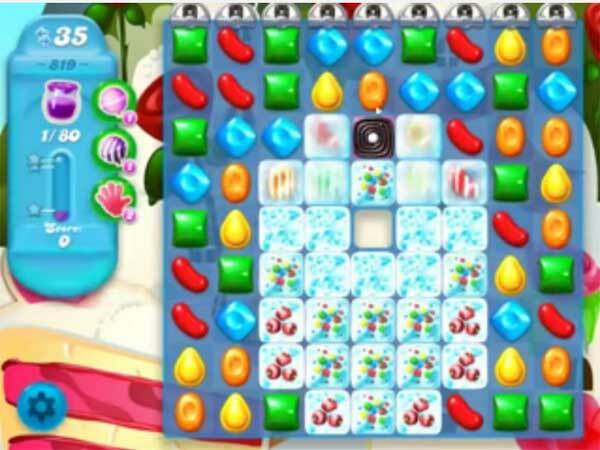 Make special candy as you get the chance and combine special candies with each other to spread more Jam. STUCK ON THIS LEVEL 819 CAN ONLY SPREAD 68 JAMS CANNOT CLEAR BLOCKERS AT BOTTOM NEED HELP ON THIS ONE PLEASE CAN YOU HELP ME I WILL BE WAITING THANKS VERY MUCH.